Your life is your journey. For you, that journey may have started when you were very young with an inner knowing about the universe, for most of us though, it’s different. Psychic Tarot Readings help you on your journey, giving you confidence, information and an opportunity to make decisions and choices about your future. Andrew is a specialist psychic. He uses tarot cards and is frequently factual with the details about specific situations. He describes his clients and their challenges in depth during his interactive and detailed sessions frequently with astonishing accuracy. 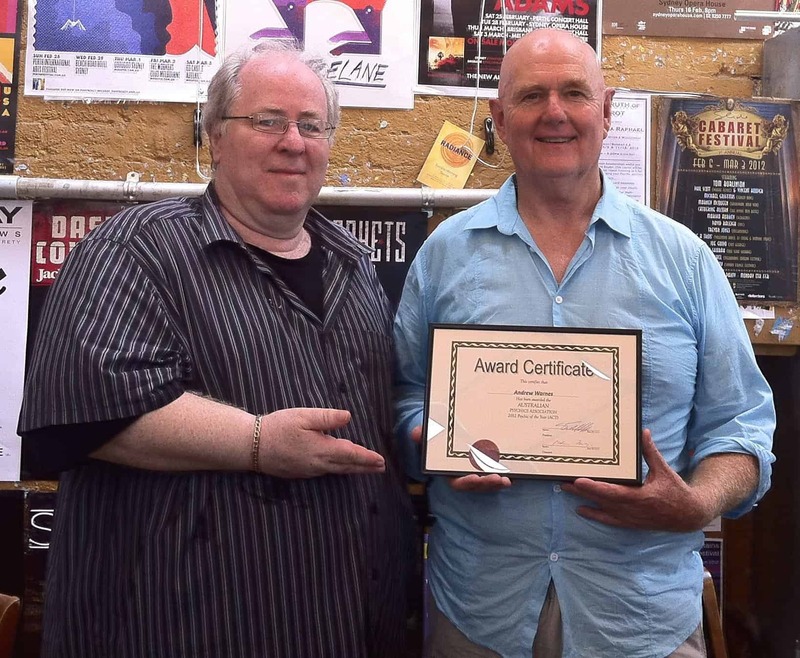 Psychic Andrew Warnes is extremely good at psychic tarot readings and was awarded Psychic of the Year (ACT) 2012. “From the experiences on my own journey and working with hundreds of clients all over the world, I am well placed to integrate readings and ongoing mentoring for lasting change. “I offer a unique approach, using a combination of psychic tarot card readings, (which is a psychic glimpse of your future) and a step-by-step structured guide, to achieve the best results for you. Psychic Tarot Readings with Psychic Andrew Warnes are honest and he tells it as it is. Do you want straight “to-the-point” answers? Call us and we’ll see if we’re a good match. Be responsible for your own destiny. Walk away from your troubled ‘monkey-mind’ by tuning into yourself and choosing YOU above all others. Contact Psychic Andrew Warnes for a psychic tarot reading and be guided into creating the life you were destined to live. Get testimonial information on psychic tarot readings with Psychic Andrew Warnes here. Hop over to Psychic Andrew Warnes You Tube Channel here. As you wander around the site, you’ll notice that Psychic Andrew Warnes uses unique tarot cards for his readings. These cards are The Gilded Tarot by Ciro Marchetti. The cards are stunningly beautiful and help Andrew’s psychic tarot readings give an accurate perspective of your life, now and in the future. Andrew is an excellent teacher. He teaches Psychic Awareness and how to read Tarot cards. For more info click here. Also, Andrew cannot say very much about himself. His clients do though. Read Andrew’s Testimonials here. 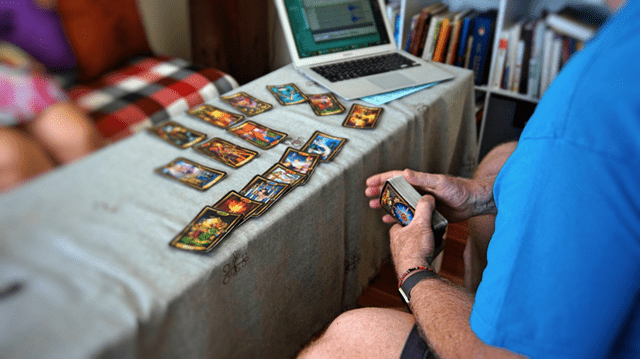 Andrew also has a Weekly Tarot Reading Subscription service which is popular in helping people keep-to-date with a reading delivered to your inbox every Monday morning. Want more info? Check out our blog.